Graduated last spring in the Graduate Degree in Architecture Engineering, Giulia Scagliotti, a student attorney at his university, has not stopped looking for the best opportunities to grow. The New College and IUSS had supported it with a graduation grant to go to Seattle where Julia was Visiting Graduate Student at the University of Washington. Today, Giulia is ready to return to the United States where he has been admitted to the prestigious University of California, Berkeley, for the Master of Science in Structural Engineering: Berkeley is a well-known brand, but perhaps not everyone knows that the Civil Engineering Course of ‘ Californian University is ranked among the top positions in the best Universities in the world, as well as keeping the US News and World Report for many years. 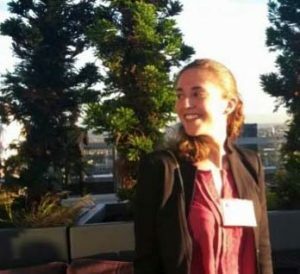 Admission to UC Berkeley was not enough: Giulia Scagliotti also won one of the seven Fulbright – All Disciplines (Fulbright – All Disciplines) competitions in Italy from the Fulbright Program, which this year is 70, involving 160 countries. An opportunity that combines prestige and concrete economic support for this year of advanced training.